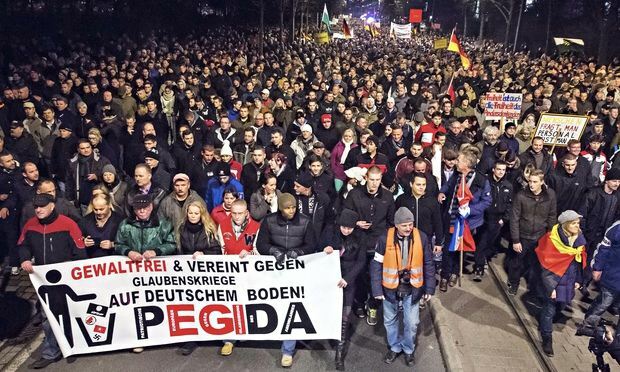 Dispite the glaring lack of success outside of Germany, A Pigeda group has formed in the UK, planning a march in Newcastle on 28th of Feb. 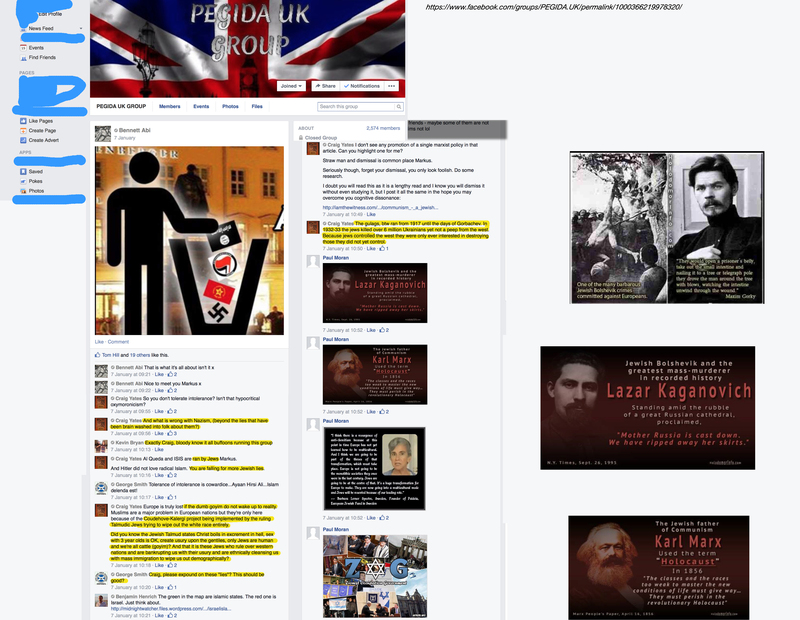 They claim to have no links to the pre-existing far right scene here but some enterprising antifascists have taken a closer look at this “patriotic” group, and discovered (surprise surprise!) 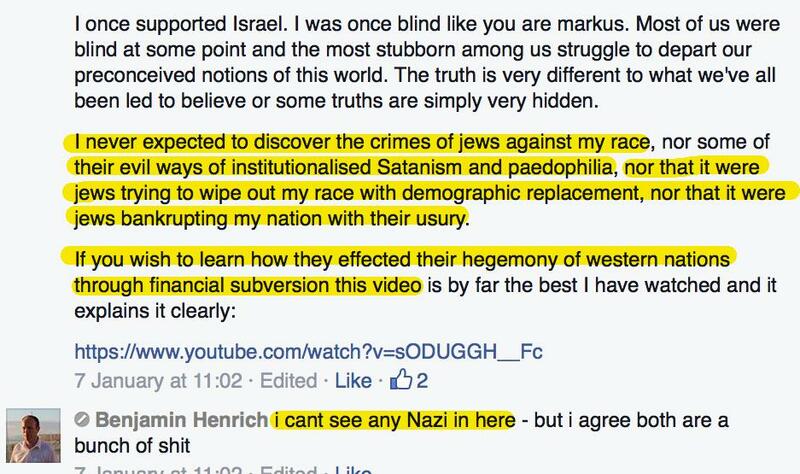 it’s riddled with EDL, old school neo-nazis, islamophobes and anti-Semites. 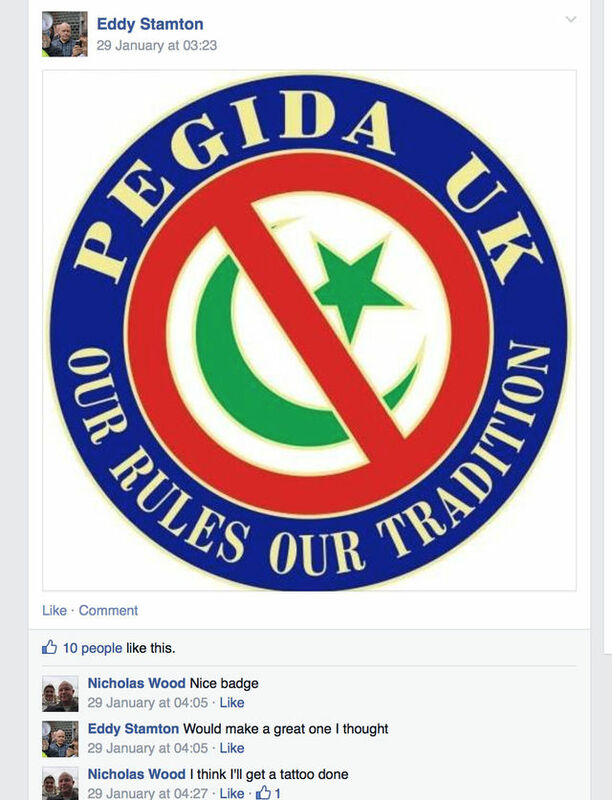 In this screenshot from the Pegida UK facebook page, we can see Scott Horwood commenting. 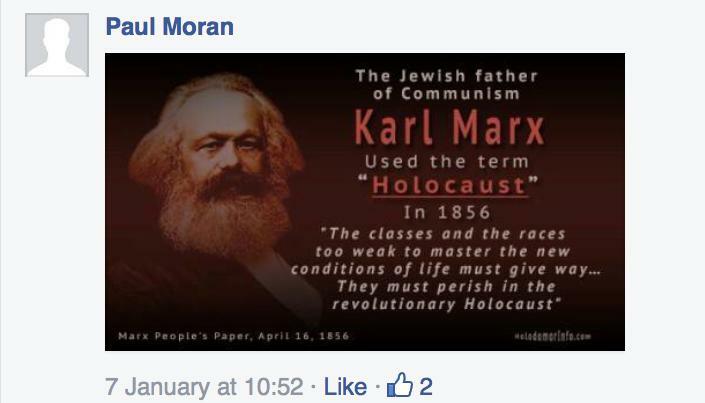 Horwood is a nasty character well known to Brighton Antifascists. He lives in Littlehapton and is ex-BNP. He used to be the southern regional organiser for the EDL and took part in a violent attack on a pro-multiculturalism meeting in Brighton in 2011. A real old school fascist. 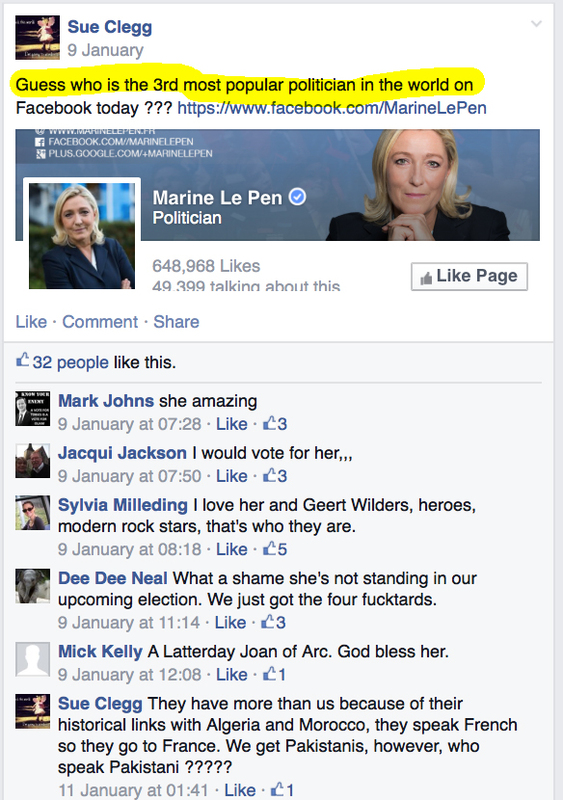 In this screenshot, Pegida UK supports worship French far-rightist Marine Le Pen and Dutch fascist Geert Wilders. In the above two screenshots, we have Eddy Stamton, a notorious nazi and ex-Combat 18 thug. His extensive criminal record includes charges for nearly beating his girlfriend to death. 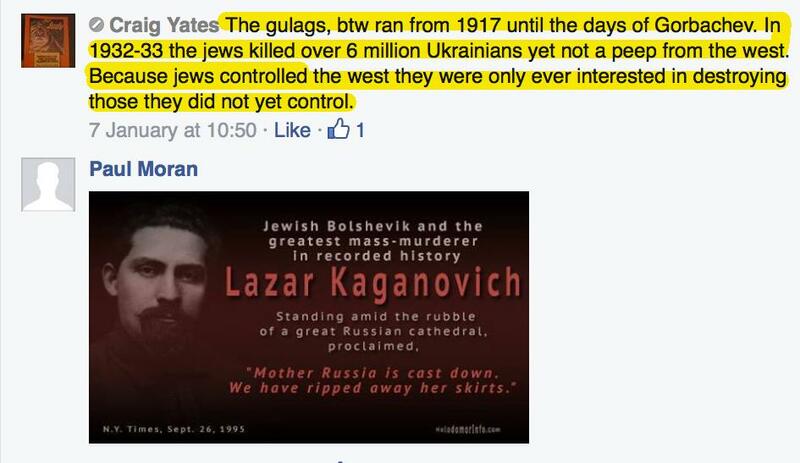 Unlike most of the British far-right, Stamton is open about his nazi views. 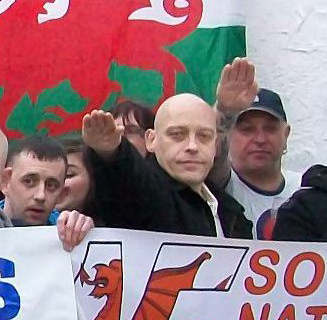 Eddy Stamton on a National Front demonstration, displaying a bad case of the stiff right arm. 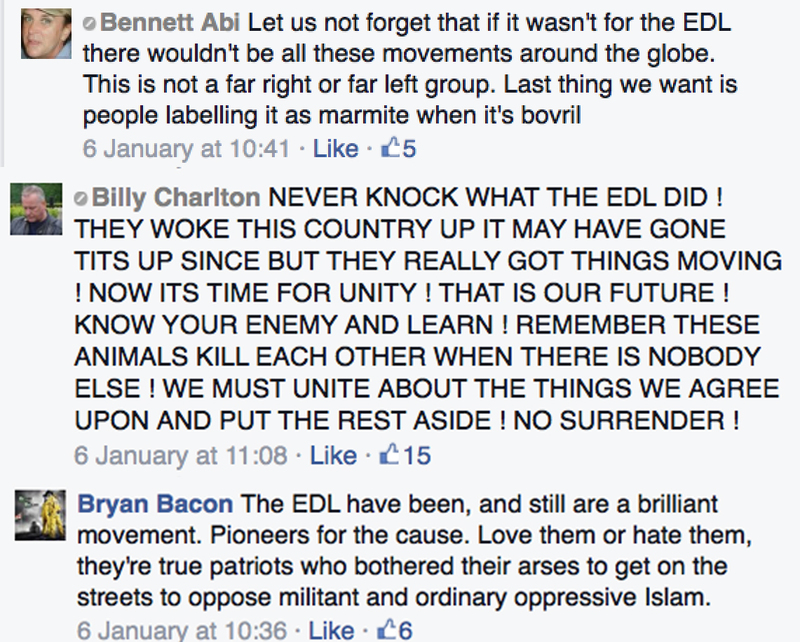 In this screenshot, Pegida UK supporters discuss how much they love the EDL, despite the offical line being that they “aren’t far-right”. 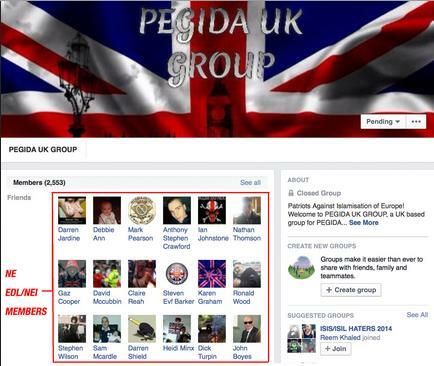 Here we see a selection of Pegida UK members, who are also connected with far-right and fascist groups like the EDL and North East Infidels. Of particular note is Gary “Gaz” Cooper, a senior steward in the EDL who is currently facing a charge of violent disorder in Brighton, after throwing chairs and pint glasses at antifascists during last year’s March for England. 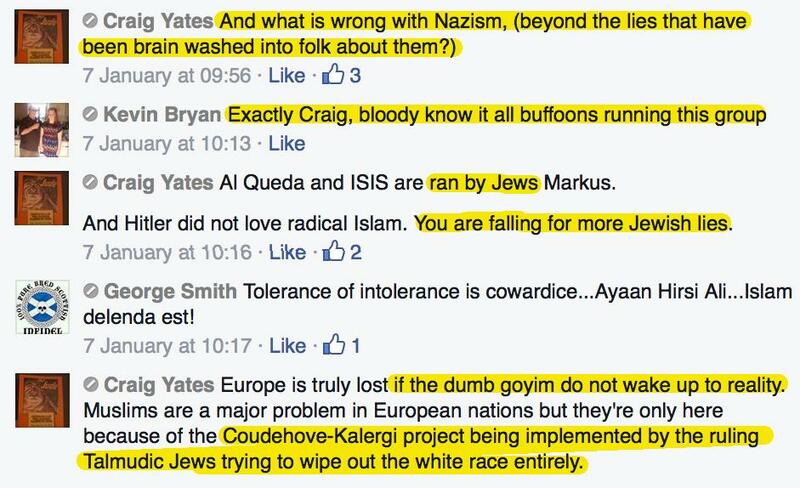 If you can stomach it, take a few seconds to read through the above screenshots, taken from a conversation on the Pegida UK facebook page in January of this year. 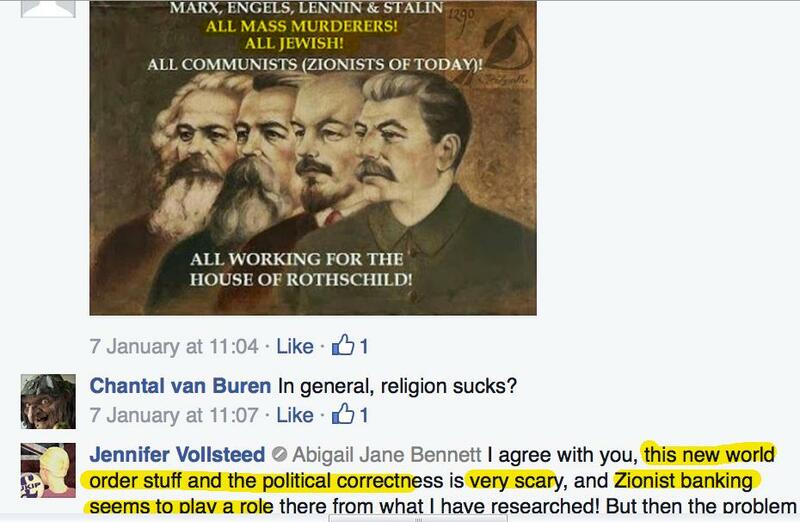 They contain some pretty extreme antisemitism which seems to be gaining some traction within the Pegida crowd. 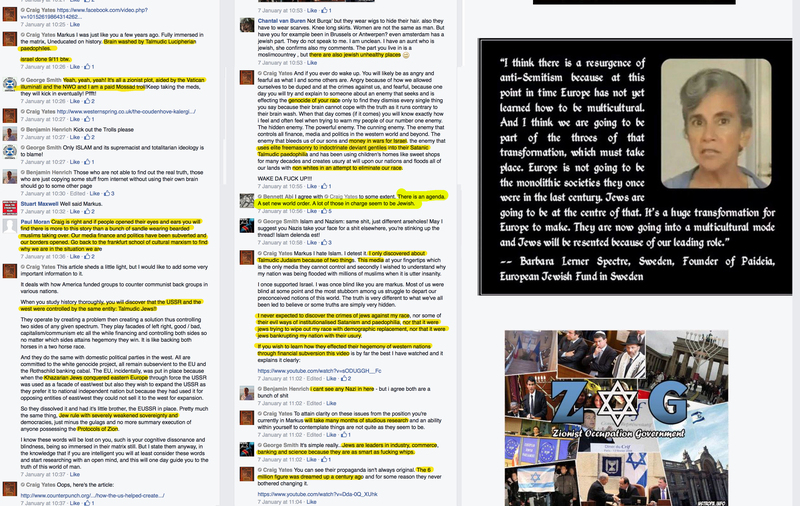 Links to the original conversation posted on Indymedia here, here and here. Unfortunately, this is just a drop in the ocean of racist and fascist shite written by supporters of the “not far-right, honest!” Pegida UK. 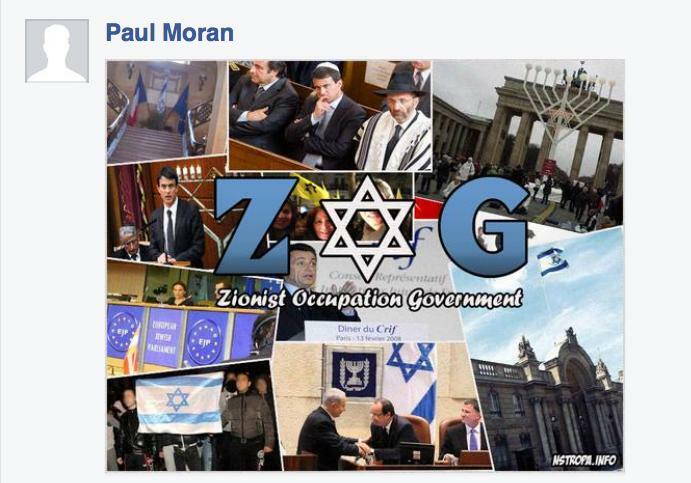 If you haven’t had enough yet, there is a whole bunch more posted on UK Indymedia here. 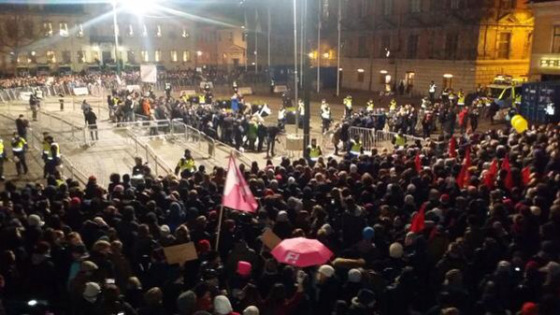 Our northern comrades, North East Antifascists, have called a counter mobilisation against the Pegida UK march in Newcastle on the 28th Feb. For more information see their facebook page or the event. See you on the streets, comrades! 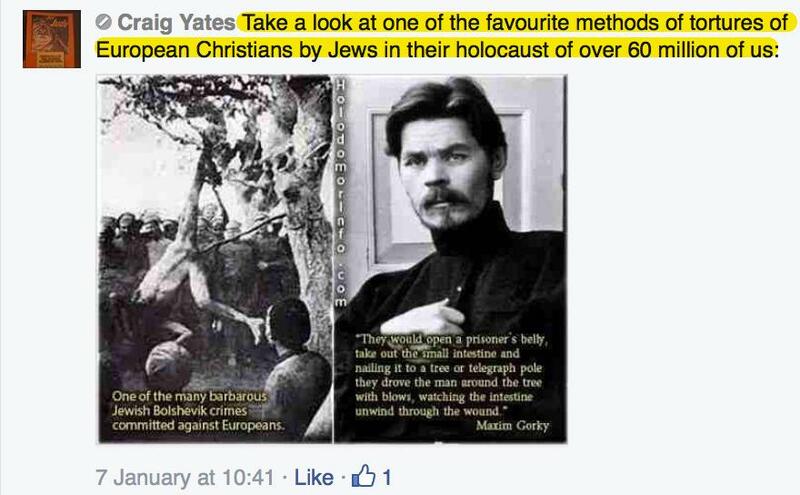 Posted on February 16, 2015, in Uncategorized and tagged antifa, Antifascist, antisemitism, Brighton Antifascists, Demonstration, EDL, Europe, fascists, Islamophobia, Nazis, Newcastle, North East Antifascists, PEGIDA. Bookmark the permalink. 5 Comments. 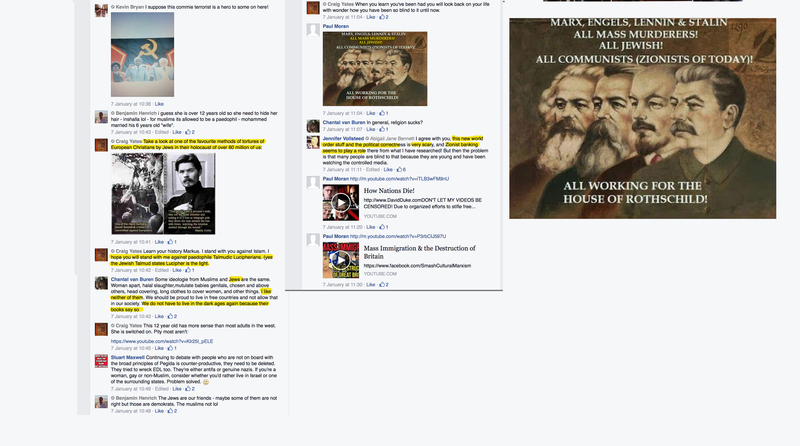 Comrades at Brighton Antifascists discuss the true colours of Pegida UK, for those that missed it. 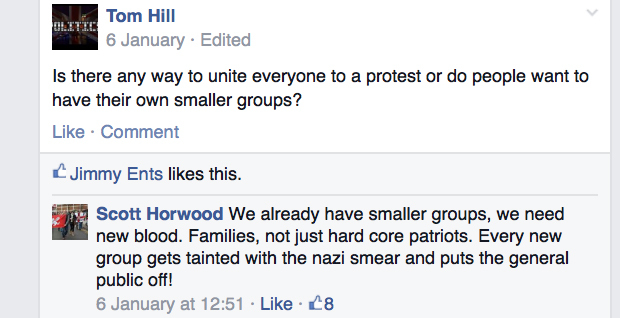 Scott Horwood last seen at the Dover demo standing next to a National Front flag. Maybe that’s why people think they’re all Nazi’s! Reblogged this on Anti-Fascist Network.